Confectionary firms receive six-figure grants from the British government to help produce biscuits, ice cream and chocolate, according to a new report. In some cases, Big Sugar is guzzling more taxpayer cash than anti-obesity programs. The government has handed out hundreds of thousands of pounds to confectionary firms including Cadbury, Nestle and PepsiCo. One firm was given £100,173 for a project to improve the “sensory properties” of confectionary wafers, according to the study. The revelations follow an investigation by the British Medical Journal (BMJ) which found that junk food companies have been funding scientific research into nutrition and obesity. The study, by UK Coronary Prevention Group, raises fresh questions over the government’s close relationship with the sugar industry at a time when official policy seeks to prevent an obesity epidemic. Taxpayer money has been given to companies who profit from selling candy and snacks, the report found. The Rural Development Programme for England gave £12,500 towards biscuit production and £11,400 to help convert a barn into a chocolate-making unit, the report found. A year earlier, the same program handed out £143,000 to convert a farm building for ice cream production. The report’s most worrying revelations include government grants to large confectionary firms, including Nestle and PepsiCo. 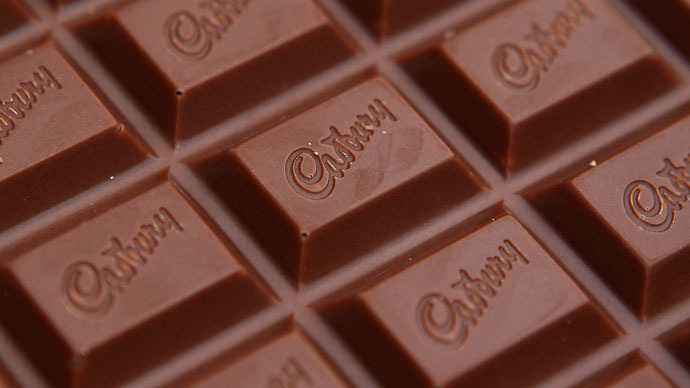 The government’s Technology Strategy Board (TSB) gave £637,812 a joint “confectionary production” project with Mondelez, the parent company of Cadbury. Soft drink giant PepsiCo was given £356,076 to research dehydrated snacks in another joint project with the TSB, according to the study. The Biotechnology and Biological Sciences Research Council (BBSRC), which receives its funding from the Department for Business, Innovation and Skills, gave out thousands of pounds to research confectionary wafers. A total of £280,000 was put into projects involving wafers, one of which aimed to improve the “sensory properties” of the calorie-laden snacks. The study’s findings follow revelations made by the British Medical Journal that big candy companies are funding scientific studies into food nutrition. Funding from companies including Coca-Cola, PepsiCo and Nestlé has flowed into scientific research bodies such as the UK’s Scientific Advisory Committee on Nutrition (SACN) and the Medical Research Council (MRC) for over a decade. Scientists whose work was at least partly funded and sometimes fully funded by the sugar industry include Professor Susan Jebb, the government’s obesity tsar.